C.S. We all love so very different Things, but we all know - when we see something Special. What could be so Common among so Different people like Angus Young, Steve Jobs and Elon Musk? - It is The Passion, the Love and Drive to what they are doing. It can burn you out, but you will never live just to pass another day. Now let's take some Lithium and Shake Up the Old Boyz, who would like to keep us all on the Oil Needle." The TSX Venture Exchange has accepted for filing documentation with respect to a non-brokered private placement announced Oct. 1, 2012, and Nov. 28, 2012. The TSX Venture Exchange has accepted for filing the company's proposal to issue 2.5 million bonus shares to the following insider in consideration of a loan agreement dated Nov. 21, 2012, between International Lithium Corp. and GFL International Co. Ltd., pursuant to which the lender has provided a loan of $1-million. The loan has a term of two years with interest of 10 per cent per year. In case of default, the interest rate shall be increased by 4 per cent per year. "International Lithium has demonstrated very impressive exploration success this year, our team is extremely pleased with the advance of our projects to date, resultantly I would like to provide a more comprehensive update to our shareholders" - Kirill Klip, President of ILC. • Strengthened Strategic Partnership with Ganfeng Lithium"
International Lithium Corp. Amends Loan Terms with Strategic Partner, Jiangxi Ganfeng Lithium Co. Ltd. In consideration of making the non-convertible loan, Ganfeng Lithium will receive a total of 2,500,000 bonus shares of ILC. About Jiangxi Ganfeng Lithium Co. Ltd.
Ganfeng Lithium based in Xinyu, Jiangxi Province, China, is a professional producer of lithium products which has developed a comprehensive product chain, including lithium metal and alloys, inorganic and organic lithium chemicals, supplies a wide range of lithium products for primary and secondary lithium battery market, pharmaceutical and new material industries. Ganfeng Lithium's principal market is in China with international exports to Europe, Japan, the USA and India. Ganfeng Lithium was founded in 2000 and listed on the Shenzhen Stock Exchange in August 2010, notably as the first publicly listed Lithium Company in China and has experienced rapid continuous growth over the last 11 years. International Lithium Corp. is an exploration company with a focused portfolio of projects. A strong management team with personal ownership in the company compliments robust financial support from key stakeholders. A leading China based lithium product manufacturer, Jiangxi Ganfeng Lithium Co. Ltd., is a strategic partner and keystone investor in ILC. The Company currently has several active rare metals projects, including lithium-potash brines in Argentina, and hard-rock pegmatites in Canada and Ireland. The Company's primary focus is the Mariana lithium-potash brine project. 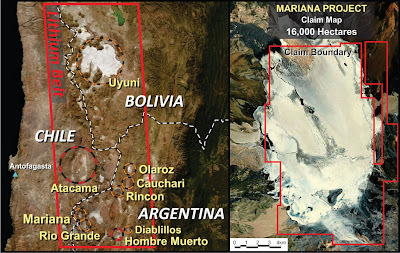 Mariana is located in the renowned South American 'Lithium Belt' centred on the junction of Argentina, Bolivia and Chile that is host to the vast majority of global lithium resources, reserves and production. Mariana consists of a salar or 'salt lake' covering 160 square kilometres. The project strategically encompasses the entire mineral rich basin. The Mariana lithium-potash brine project ranks as one of the more prospective salars in the region. Complementing the Company's lithium brine projects are rare metals pegmatite properties in Canada and Ireland. Despite the excellent accessibility of these hard-rock rare metals projects, there is limited past exploration and geochemical sampling for rare metals. There is a clear potential for exploration success and added value here as the Company strives to source rare metals to help meet the increasing demand through the growth in global technologies that utilize the rare metals suite of elements. 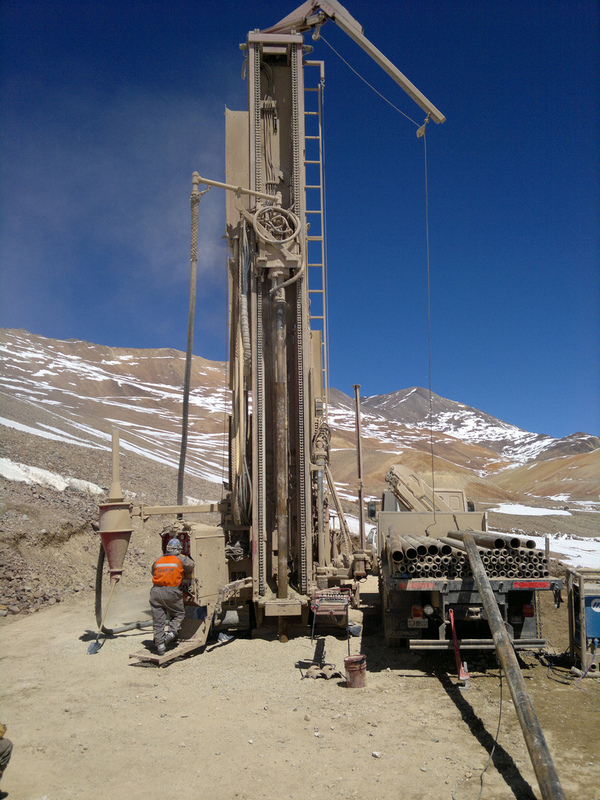 Completing the Company's lithium portfolio are the rare metals pegmatite properties. The key characteristics shared by the hard-rock rare metals projects are their limited past exploration, excellent accessibility and limited assaying for rare metals. All of which imply a clear potential for additional exploration and development as well as added project value to meet the global technological growth in demand for the rare metals suite of elements. International Lithium Corp.'s mandate is to increase shareholder value through aggressive advancement of its core projects and to source joint venture partners to expand the scope and diversify risk of its exploration effort. Neither the TSX Venture Exchange nor its Regulation Services Provider (as that term is defined in the policies of the TSX Venture Exchange) accepts responsibility for the adequacy or accuracy of this release. Statements in this press release other than purely historical information, historical estimates should not be relied upon, including statements relating to the Company's future plans and objectives or expected results, are forward-looking statements. News release contains certain "Forward-Looking Statements" within the meaning of Section 21E of the United States Securities Exchange Act of 1934, as amended. Forward-looking statements are based on numerous assumptions and are subject to all of the risks and uncertainties inherent in the Company's business, including risks inherent in resource exploration and development. As a result, actual results may vary materially from those described in the forward-looking statements." Please meet the Baby Electric BMW i3 - it looks very nice and solid. 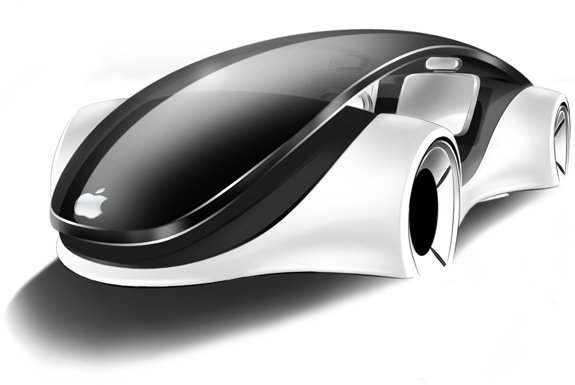 Actually, it is that rare occasion when the real car looks better then its prototype. The prototype had a "plastic feeling" for us - this one looks like a Real Bimmer. "It is an Education Time for Electric Cars. 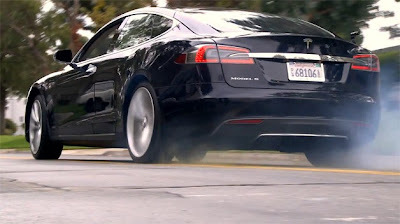 Tesla Model S will turn the heads on the street, but we need EV mass market, which can be started with 200 miles Range and the price below $20,000. We are getting there with Every Electric Car on the street - mass volume will bring the prices for Lithium Batteries down." "Consolidation in the Lithium Industry is well under way now and still under the Radar Screen of the Street - we must add. Recent bankruptcies of a number of Lithium Battery Makers will transfer the Technology to the new owners, who will buy years of R&D for pennies on the dollar. The Technological Race will continue and we Do Not Know who will win it. That is why we are investing in The Sugar Business here. We Do Not know - who will produce The Next Coca-Cola in this business, but All Soda Makers Need Sugar, All Lithium Battery Makers will need Lithium. You can just have a look what People with Money and Vision are doing now here. Chinese, Japanese and Korean companies are all over the place securing Strategic Assets for the Next Industrial Revolution based on Electric Cars. We have never invested in any Lithium Battery maker, but Lithium Developers is Our Next Big Thing here and Tesla Motors stands as The Apple among all other Fruits involved in this business." Depeche Mode - Enjoy The Silence. 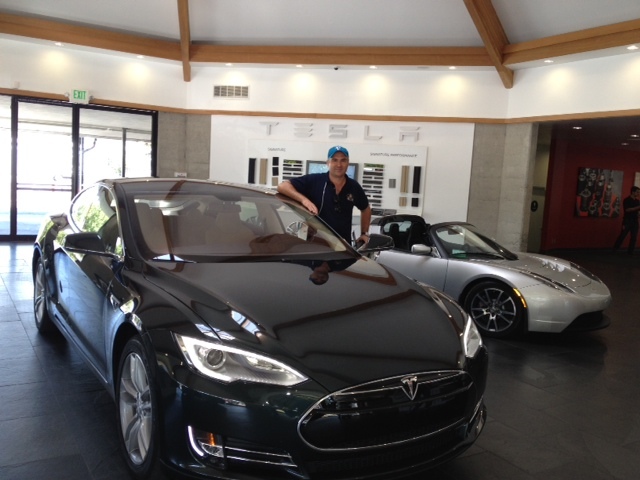 Tesla Model S. Powered by Lithium. 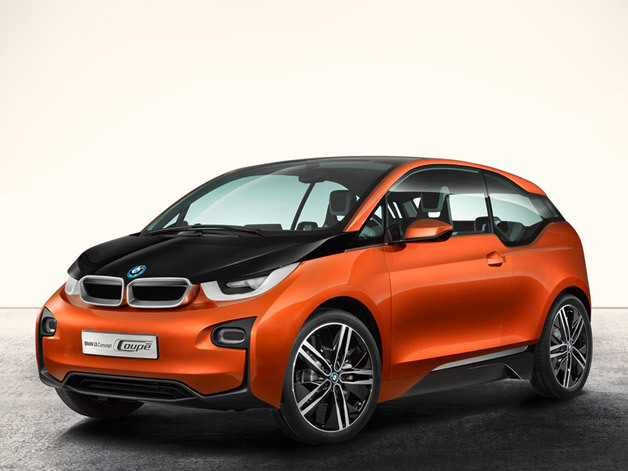 AutoBlogGreen: i3 Coupe Concept continues to evolve BMW's electric aspirations. "BMW has unveiled the i3 Coupe Concept ahead of the 2012 LA Auto Show. Like the automaker's other i efforts, the i3 Coupe boasts a carbon fiber body, and an electric motor with a maximum output of 170 horsepower helps shuttle the two-door down the road. Believe it or not, the i3 Coupe Concept puts its 184 pound-feet of torque to the rear wheels via a single-speed transmission. Engineers bolted an array of lithium-ion batteries under the floor to keep the vehicle's center of gravity as low as possible, and the carbon fiberreinforced plastic chassis gives the i3 Coupe Concept plenty of rigidity. Technically, the new electric concept rides on the same wheelbase as the standard i3, but boast a wider, lower look. BMW says aesthetic tweaks like the raked windshield and gently sloping rear deck are set to become hallmarks of the i3 family.Inside, the i3 Coupe Concept comes packed with a slew of sustainable materials, including leather, wood and wool, and thanks to the vehicle's packaging, the passenger cabin features an uninterrupted space between the driver and passenger footwell. Likewise, with no transmission tunnel, the cabin appears more open and airy. Check out the full press release below for more information." "Eco Auto Journalist Eric Novak received an invite from General Motors to participate in an event put on by GM called the Electrification Experience. The event features a chance to ride the new 2014 Chevy Spark EV 2 weeks before launch as well as the opportunity to learn more about how GM will make electrification of its vehicles a main strategy in its goal to produce a leaner and greener fleet." It is an Education Time for Electric Cars. Tesla Model S will turn the heads on the street, but we need EV mass market, which can be started with 200 miles Range and the price below $20,000. We are getting there with Every Electric Car on the street - mass volume will bring the prices for Lithium Batteries down. Consolidation in the Lithium Industry is well under way now and still under the Radar Screen of the Street - we must add. Recent bankruptcies of a number of Lithium Battery Makers will transfer the Technology to the new owners, who will buy years of R&D for pennies on the dollar. The Technological Race will continue and we Do Not Know who will win it. You can just have a look what People with Money and Vision are doing now here. Chinese, Japanese and Korean companies are all over the place securing Strategic Assets for the Next Industrial Revolution based on Electric Cars. We have never invested in any Lithium Battery maker, but Lithium Developers is Our Next Big Thing here and Tesla Motors stands as The Apple among all other Fruits involved in this business. The last veil has been lifted from the 2014 Chevy Spark EV, allowing us to finally view the Korean import in all its aero-optimized glory. While we aren't much surprised by its appearance – the prototype in our First Drive wore only the thinnest of camo disguises – we were a bit taken aback by the announced pricing. Customers will need to scrounge up almost $25,000 to park GM's first purchasable (you could only lease its predecessor, the EV1) all-electric automobile in their driveways. That's just under $32,500 for those who don't qualify for the $7,500 federal EV tax credit. Or, to put it another way, almost double the base price ofthe gasoline-powered version after the federal incentive.In the context of other available electrics, that puts it well below the after-incentive $32,495 for the Ford Focus EV, but substantially higher than the $21,625 needed to bring home a Mitsubishi i. More importantly, it puts it dangerously close to the Nissan Leaf's current post-credit $27,700 pricetag, and perhaps even above the cost of the 2013 American-built model.Luckily, GM isn't betting the farm with the Spark EV. With its US rollout expanded only slightly from California to include Oregon, the peppy little hatch should find enough buyers to suit its compliance purposes. 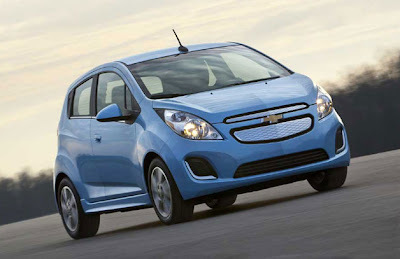 And, like its plug-in Chevy Volt sister, the Spark shouldn't be seen as a means to an end in itself, but rather a starting point towards further electrification options for future models.To get all the details – except, oddly enough, the estimated range expected from its 20-plus kilowatt-hour battery pack – check out the official press release below." Tai Chi Masters Battle - We Love Masters in Everything Even Some With MBA! C.S. There is Time for Rock And There is Time for Tennis. Sometimes, When You are Playing Chess - You Need "The Brutal Tai Chi Force" in Place. We Are Enjoying The Best Masters in Everything and Waiting for The Tidal Wave from The FED to Lift Our Boats. Masters Can Be Good or Even Better Like in MBA - Acronym for Mediocre But Arrogant or Membership By Approval. The Real Masters Can Be Recognised On The Spot. Now We can add a Little Bit of The Right Energy. We Have Moved to "The Feel and Touch" after Years of a Lot of Practice And a Lot of Lessons Learned. It Is All About The Spirit or Lack Of It. You have to Learn How To Fall before you can Stand. You have to Know How to Let Go, before you can Resist. Depeche Mode - Enjoy The Silence. Tesla Model S.
We Are Looking Only Into The Future. Big Intro Today, but It Is Worth It and so many are still missing the picture. "C.S. 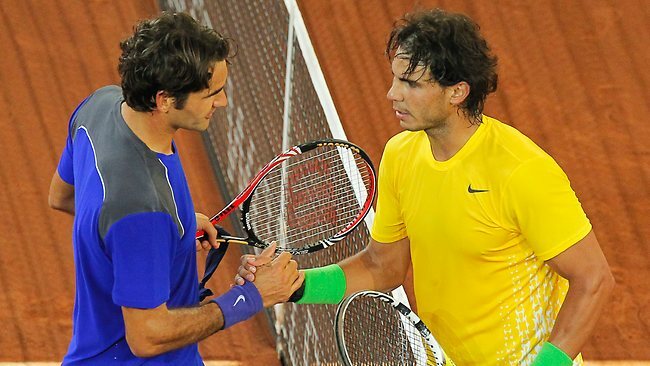 These two guys know Thing or Two about tennis, The Other Two know Thing or Two about deposits and the Good Deals. They will tell The Story to you as well - just let the Legal Dust to Settle. Enjoy the Best and Never Settle for The Rest. We will run a few commentaries once gather more publicly available information. TNR Gold Investor Presentation - Los Azules Settlement November 2012. Interesting Group of People we have in All This Story. "This is a very positive development for McEwen Mining, TNR Gold and the Province of San Juan, Argentina. It allows us to accelerate and expand the magnitude of our exploration effort. With this legal obstacle behind us, we are now embarking on the largest drill program in the project's history. We are excited by the potential of growing the size of this world-class copper asset", said Rob McEwen, Chief Owner"
By the way, this AC/DC performance is Live at River Plate in Buenos Aires, Argentina. Just look at the faces and Energy - these proud people deserve what they are entitled to and they will get it in time. Country Risk today will become the Value Catalyst tomorrow. Read about our very own adventures in DRC Congo with another wise man - Lukas Lundin and his Tenke Mining. We can see The Same Scenery and Opportunity here. "Kirill Klip, Non-Executive Chairman of TNR Gold, stated, "I welcome the positive resolution of the Los Azules litigation in the out of court settlement between TNR Gold and McEwen Mining. I would like personally to thank Rob McEwen as this resolution is a highly beneficial outcome for both our companies. Removing the uncertainty over the rights to Los Azules will allow the project to now achieve its full potential for the benefit of the shareholders of both TNR Gold and McEwen Mining, and I consider our stake in McEwen Mining as a strategic holding for TNR Gold." We all like Different Things, but We All Know When We See Something Exceptional. It is all about Passion, Drive, Devotion and Wisdom - as in this case. Not everything could be seen from the distance. Just wait for the Boat to come closer to the Shore - you will see All the Beauty with your own eyes. There will be palm trees, sandy beaches, crystal clear pools and a table in a nice shade with champagne on ice. You will see the label, when we all will be there. Have some Trust, once you have made decision and got on the Trip, but always study the Maps and let the NI 43-101 be your guidance. We can tell you now only one thing - we are Not in Arctic, we are approaching Caribbean - as it was promised. Why Rock - because it is all about Energy, People, Rocks and Metals and you need to have some Balls to play this Game of Tennis. These People use their Energy and turn Rocks into Metals. This is why AC/DC is here - It is a very High Voltage to Handle and you better be careful and know what you are doing, but in the rights hands this Energy will spin the Propellers of our Boat very fast. If you would like to take anything from the Picture at the top of this entry - It Is All About Respect after Five Sets Match with a Tie-Break. A lot of people will have their own opinion: what you should do in the fifth set on the tie-break. If you have bought tickets - Enjoy The Game, they will deliver now. Go on the Court and hit some balls or try the Guitar and then watch some Videos below - you will have a better Feeling, what we are talking about here. In investing - Reading will be the first thing to start and Do Not Forget The Rules Of The Game. "Call the company, listen to the story - if you Do Not Bother - send half of you money to Charity and keep the rest - you will be much better off. The Only Advise You Can Get From This Blog is on the right side of the page; and if you have spent less time making DD on the company you are going to Buy, than when last time you were buying your Flat TV - run away from the Buy Button." For today: just relax, take a glass of Malbec and Enjoy Best of the Best - few things we really like in this life, which we can share now. Read More"
If you are still interested in the story, find the robey743 - he was following Minera Andes and Los Azules development for years and now is on TNR Gold BB - after NI 43-101 Information about Los Azules on McEwen Mining Webiste, Information about The Settlement on TNR Gold Websiteand Calls to Both Companies - he could help you to the check Your Own Compass, Share Binoculars and Navigation Charts now. Rob McEwen will put a Value Number on the Los Azules without Litigation Discount in the nearest future and you will be able to work out the Value of TNR Gold Back-In Right relative to its recent Market Cap or some Analyst will come out with the valuation idea of these assets very soon now. But the most important thing - are those babies below: they are drilling now the Contested Part of the Los Azules, where the TNR Gold 25% Back-in rights applies - it is the High Grade Core of the deposit and this drilling campaign will bring, hopefully, increase in resources and will upgrade part of them to the higher category as well, improving further the economics of this project." McEwen Mining - "Los Azules - October 2012, drilling commences"
McEwen Mining: "As noted in our November 7th news release, drilling began at Los Azules on October 12th. Los Azules is one of the world's largest and highest grade undeveloped copper porphyry deposits. A total of seven drills are operating at the property. The drills are considerably more powerful than the ones used during past field seasons. The Company believes this will increase the likelihood of reaching target depths (+700 meters), where high-grade copper mineralization has been discovered. Initial drill assay results are expected to be released early in 2013. The Company plans to drill approximately 15,000 meters this season." McEwen Mining: "Los Azules Resource Map." "Kirill Klip TNR Gold Los Azules Copper Back-In Right Is At Feasibility - No Need For Financing Or Any Dilution NOW Before FS will Be Produced by MUX"
And if you like Reading you can find some really interesting ideas later about the potential of Los Azules and who can develop it into mine later." 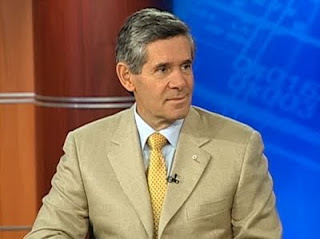 Rob McEwen, the founder of Goldcorp (G) Inc., says his McEwen Mining Inc. (MUX) may sell a copper project and use the proceeds to help finance its plan to become one of the world’s biggest gold producers. “All the big players” in the copper industry have expressed an interest in the Los Azules deposit in Argentina, McEwen said at a Nov. 15 investor presentation in New York. “Arms of the Chinese government” are among those who’ve been in contact, he said, without giving details. Selling Los Azules would free up cash for McEwen Mining’s precious-metals exploration projects in Argentina, Mexico and the U.S. as producers find it difficult to raise funds. In Canada, where more than 400 gold miners are based, producers announced $2.53 billion of equity sales this year, down from $3.51 billion in the same period a year earlier, according to data compiled by Bloomberg. McEwen Mining said it settled a lawsuit over Los Azules that had brought its ownership into question, allowing the Toronto-based company to realize the project’s full potential. While cash from selling the project would be welcome, McEwen says his company can still raise more funds, even though it’s “not the friendliest time” for getting mining finance. McEwen Mining said last month it plans to raise about $60 million in a rights offering, backstopped by its CEO, who according to its website has a 25 percent stake in the company. Los Azules is worth about $535 million, based partly on the deposit’s 15 billion pounds of copper resources, and will cost almost five times that to develop, said Aleksandra Bukacheva, a Toronto-based analyst at Fraser Mackenzie Ltd.
“A junior precious-metals company is unlikely to come up with the $2.5 billion on its own needed to develop a copper mine at Los Azules,” Bukacheva, who has a hold rating on the stock, said by phone. The site may appeal to Japan’s Sumitomo Metal Mining Co., Korea Resources Corp. and other Asian companies keen to secure copper supplies, she said. Many of the largest copper producers, such as Xstrata Plc (XTA) and BHP Billiton Ltd., might not be interested because they’re already developing or expanding comparable deposits in South America, according to Bukacheva. Katelyn Kim at Korea Resources’ Toronto office didn’t immediately return a call from Bloomberg seeking comment. Ryota Sekine, a vice president and director of Seattle-based Sumitomo Metal Mining America Inc., wasn’t immediately available to comment. The publicity department of China’s National Development and Reform Commission couldn’t immediately comment on the matter. Three calls to the office telephone of Yao Jian, a spokesman for China’s Ministry of Commerce, went unanswered. McEwen, the founder of his eponymous company, is trying to repeat his success at Vancouver-based Goldcorp, a Canadian gold producer he established about two decades ago and one that earlier this month briefly surpassed Toronto-based Barrick Gold Corp. (ABX) to become the world’s largest producer of the metal. The Canadian businessman switched from a career in investment in 1990 to mining. He was CEO for 13 years, during which time the company announced six acquisitions valued at a combined $2.26 billion, according to data compiled by Bloomberg. He created McEwen Mining by renaming U.S. Gold Corp. after its C$747 million acquisition of Minera Andes Inc. in January, combining two companies of which he was CEO. Argentina placed restrictions on mining companies last year to make them keep export revenue in the country. McEwen Mining is spending cash from its stake in the San Jose mine in the country on exploration at Los Azules, Ian Ball, a senior vice president at the company, said at the New York presentation. The company said last week that it settled a lawsuit with Vancouver-based TNR Gold Corp. (TNR) over Los Azules, allowing McEwen Mining to boost exploratory drilling at the site and examine parts of the project in Argentina’s San Juan province that were previously contested. McEwen Mining owns the El Gallo silver and gold mine in Mexico, which is in production. It also has a 49 percent stake in San Jose, another operating gold and silver mine, with the other 51 percent held by London-based Hochschild Mining Plc. 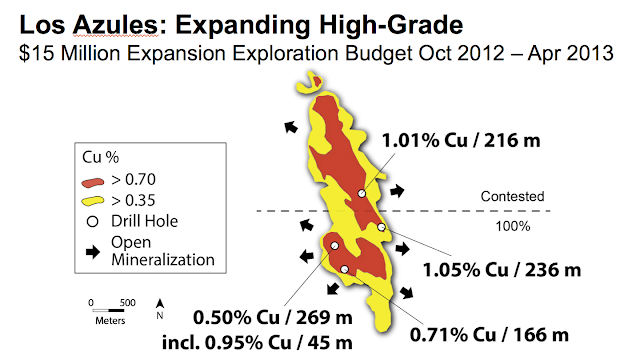 (HOC) In addition to Los Azules, McEwen Mining is developing the Gold Bar and Tonkin gold projects in Nevada. While the company says it plans to increase annual gold production to 290,000 ounces by 2015 from 105,000 ounces now, its CEO says that could be exceeded. McEwen Mining will target qualification for the Standard & Poor’s 500 index during 2015 and will probably seek an acquisition before then, McEwen said. McEwen Mining has dropped 38 percent since the closing of the U.S. Gold-Minera Andes deal. In that time, the S&P/TSX Global Gold Sector Index (SPTSGD) has fallen 20 percent, while the price of gold for immediate delivery in London has declined 0.6 percent. For McEwen, the underperformance of gold-mining equities presents a clear buying opportunity. To contact the editor responsible for this story: Simon Casey at scasey4@bloomberg.net"